Margaret is an Assistant Vice President and a member of the acquisitions and investment team. 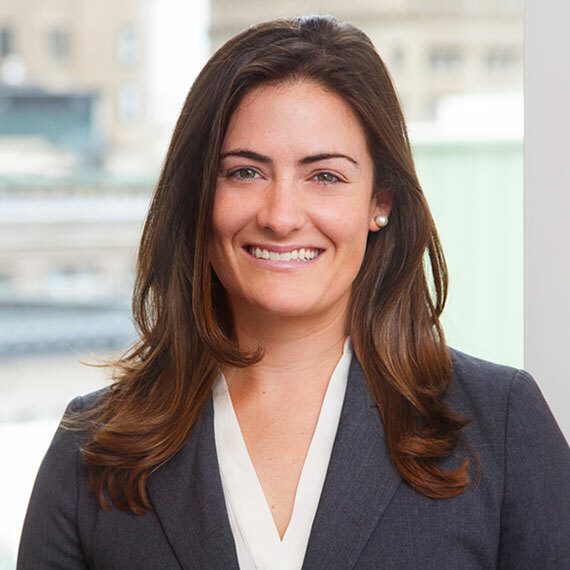 She is responsible for sourcing, underwriting, and conducting due diligence for Leggat McCall Properties’ potential acquisitions as well as assisting with the on-going asset management of company-owned investments. Recent deal experience includes the Bunker Hill public housing redevelopment, Boynton Yards, Montvale Hill, and 40 Thorndike. Margaret also provided preconstruction and project management services for The Science and Engineering Complex at Tufts, an 80,000 SF new construction and gut renovation. She supported private and institutional advisory assignments for clients such as MITIMCO, Dartmouth College, Harvard University, Showa Institute of Boston, and Draper Laboratory. Prior to joining LMP, Margaret was a corporate finance and investment banking analyst for Wells Fargo Securities and a business development and marketing specialist for EnerNOC, an energy efficiency and demand response company.